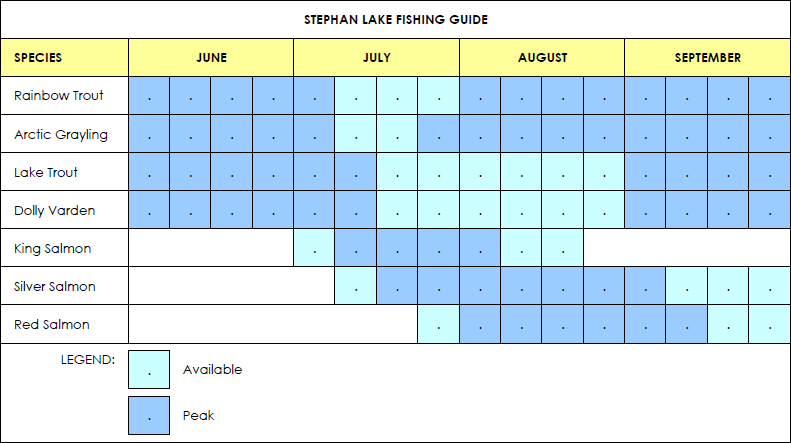 WORLD-CLASS FISHING - Stephan Lake Lodge offers Alaska's finest lake and stream fishing. Enjoy Alaska wilderness sport fishing the way it's meant to be. If just getting away from it all is your idea of a good time, you've come to the right place. "Stephan is a premier fishing lodge...it's a fly fisher's dream; you sight-cast to 30-50 pound king salmon finning lazily in the current. I've caught as many as 75 to 100 trout a day."